With its curved fluid lines and sleek lever design, the Zedra Kitchen Sink Mixer will bring contemporary elegance to any kitchen. Washing and rinsing is effortless with its pull-down spray head. 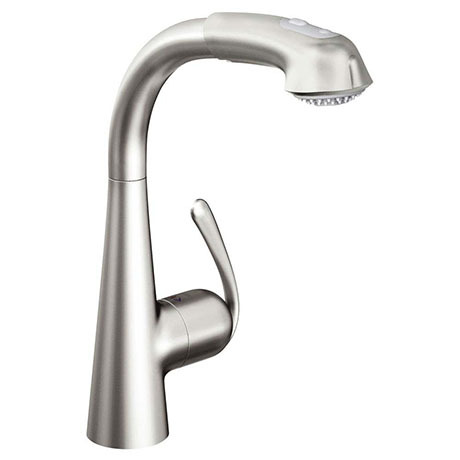 The tap is made of non-rusting, scratch resistant stainless steel, which is particularly hygienic and at the same time easy to clean thanks to its smooth surface. Thanks to the easy installation system, you'll have this stunning tap installed in the blink of an eye without professional help.